Dealing with the disabilities that frequently accompany getting older is not an easy transition for anyone. Finding the money to pay someone to provide these services is beyond the reach of most individuals and their families. Medicaid is an option most seniors seek to access when health issues become too severe to handle without outside help, but qualifying for these federal and State benefits is not easy and frequently requires the services of a Medicaid attorney to avoid penalties and denials of coverage. Most people associate Medicaid with nursing home care, and this is certainly a large component of the care the program covers. However, recipients also can elect to apply for long-term in-home services, which many understandably prefer over moving to the sterile environment of a nursing home. Florida, unfortunately, has a long waiting list for the in-home service program, a structure so restrictive, applicants are on it for years before receiving approval. The situation is so dire, a lawsuit was recently filed by six Florida seniors citing violations of the Americans with Disabilities Act against the State of Florida. The lawsuit claims the years of long delays are forcing seniors into nursing homes, creating a hardship, and depriving them of the right to access care at the level they need. A discussion of how Medicaid in-home service applications are evaluated, and how to facilitate an approval of benefits more easily, will follow below. 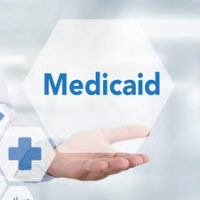 Medicaid, whether applying for nursing home care or in-home services, has strict income and asset requirements that complicate qualifying for benefits. However, assuming a person is eligible, which often requires working with an attorney to move countable assets into protected trusts, there is a distinct difference between how nursing home Medicaid applications are treated compared with those for in-home care services. Nursing home benefits are an entitlement, provided the applicant is already in a nursing home, there is a bed available, and the financial limits are satisfied. By contrast, there is no guarantee in-home care will ever be approved, and everyone wishing to access Medicaid benefits outside of the nursing home setting must go on a waiting list. Approval is based upon a priority system that gives those deemed most fragile benefits first, which is why less critical applicants can wait years for benefits. Further, Medicaid benefits for care outside a nursing home are less, and the program will not pay for 24/7 in-home care services. Thus, an individual in need of care, and his/her family, will likely have to make a choice about which setting is more desirable and how feasible it is for the person to remain at home with less care. As noted, the waiting list is organized according to those who are most to least needy. To determine how in need an applicant is, each person is screened and scored before he/she is placed on the waiting list. The lower the score, the farther down the list a person is placed. However, there are exemptions to this screening requirement that allow an individual to be immediately approved for benefits, and the one most applicable to seniors is the exception for those in a nursing home facility for 60 consecutive days. Importantly, once the 60-day period is satisfied, and benefits approved, the person can transfer out of this setting and back to his/her home, while retaining Medicaid coverage, for continued care. Income and asset limits must be within limits for this option to work, and an experienced with Medicaid law can help to ensure an applicant’s assets are properly structured to facilitate an easier approval. When mental and physical impairments drastically alter a person’s life, he/she does not have the luxury of waiting to receive necessary care. If you or a loved one is in need of long-term care and want to secure Medicaid benefits to cover the high costs, talk to a Florida Medicaid attorney as soon as possible. This area of the law is extremely complicated, and getting something wrong can significantly delay or block approval. William Rambaum understands the challenges you are facing and will use his decades of legal experience to protect your financial stability and get you the benefits you need. Contact the Oldsmar law firm at (727) 781-5357 to schedule an appointment.